On the daily charts, we can observe that Zinc has retraced 61.8% of the recent rise from Rs96.6 to Rs105.5. It is trading above its 20 day moving average (DMA) and 40 day moving average (DMA) of Rs101.27 and Rs101.97 respectively. 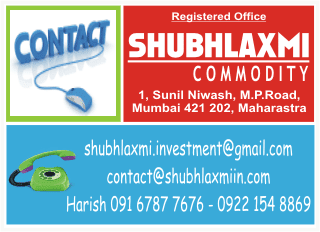 We are now expecting Zinc to trade with a positive bias with a target of Rs105.5 in the short term. Key reversal levels would be Rs100.1. The momentum indicators have had a negative crossover; however, it may just be a whipsaw.